The Forward surveys each of the 2010 Sami Rohr Prize finalists…continue reading here. We just received word about a new endeavor from Yaldah Magazine, a magazine for Jewish girls, by Jewish girls, has expanded to YM Books, offering a variety of books for Jewish girls…continue reading here. Moment Magazine lists its “Intriguing Books of 2009…continue reading here. NETWORK author Jessica Handler (Invisible Sisters ) reports on her experience at a Jewish Book Festival for Erika Dreifus…continue reading here. November 23. 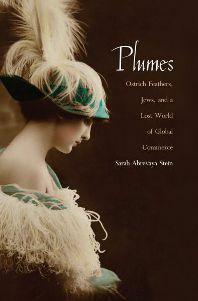 2009 (New York, NY) – A diverse group of five non-fiction authors have been named as finalists for the 2010 Sami Rohr Prize for Jewish Literature, the newest, most significant and largest monetary award of its kind. The Sami Rohr Prize for Jewish Literature awards $100,000 to its top winner, with a $25,000 Choice Award given to its first runner-up. 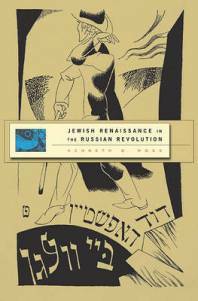 It is administered under the auspices of the Jewish Book Council. Today’s announcement caps a year-long process of reviewing books by a select panel of judges. On December 16th, the finalists will meet with the non-fiction judges of the Sami Rohr Prize in New York, and the winners will be announced at the end of January. 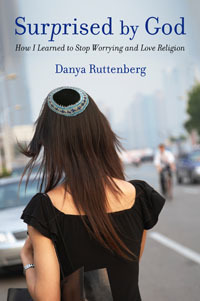 The 2010 award ceremony will be held in Jerusalem on March 31st. Chosen from a pool of twenty-five entries, this year’s finalists represent important emerging voices in Jewish life and thought. 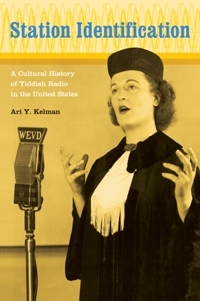 The subject matter of the finalists’ work include the role that rabbis and Jewish intellectuals have played in forming American public identity, a candid and quirky spiritual memoir, the Jewish renaissance in Russia at the time of the Russian Revolution, the involvement of Jews in the international feather trade and Yiddish radio in America. Hailed as a transformative award for emerging writers, the annual Sami Rohr Prize for Jewish Literature honors the contribution of contemporary writers in the exploration and transmission of Jewish values. 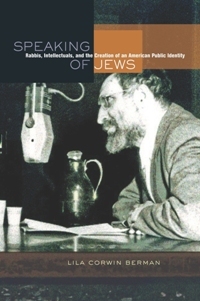 Established in 2006, the top prizes honor writers and thinkers whose works demonstrate a unique perspective, stimulates an interest in themes of Jewish concern and hints of future promise. Fiction and non-fiction books are considered in alternate years. In 2008, Lucette Lagnado was awarded the first non-fiction Sami Rohr Prize for Jewish Literature for her book The Man in the White Sharkskin Suit: A Jewish Family’s Exodus from Old Cairo to the New World, a memoir of her family’s exodus from Egypt and resettlement in Brooklyn. The top fiction winners have included first-ever Rohr Prize recipient Tamar Yellin for her novel The Genizah at the House of Shepher and in 2009 Sana Krasikov for her short story collection One More Year. The Rohr Choice Award winners include Amir Gutfreund for Our Holocaust; Michael Lavigne for Not Me; Ilana M. Blumberg for Houses of Study: A Jewish Woman Among Books; Eric L. Goldstein for The Price of Whiteness: Jews, Race, and American Identity and Dalia Sofer for The Septembers of Shiraz. The winners, finalists, judges and advisory board members of the Sami Rohr Prize for Jewish Literature meet biennially at the Sami Rohr Jewish Literary Institute, a forum devoted to the continuity of Jewish literature. The Institute, run under the auspices of the Jewish Book Council, creates an environment in which established and emerging writers can meet and exchange ideas and perspectives. Within a short period of time, the Sami Rohr Jewish Literary Institute has become an important meeting place for the leading lights of the American Jewish literary world. After spending his early years in post WWII Europe, Sami Rohr moved to Bogota, Colombia, where he was a leading real estate developer for over 30 years. He currently lives in Florida and continues to be very active in various business endeavors internationally. His philanthropic commitment to Jewish education and community-building throughout the world is renowned. This prize is a gift by his family to honor his love of Jewish writing, and to help encourage the continuation of the magnificent legacy of the People of the Book. The Jewish Book Council is a not-for-profit organization devoted exclusively to the promotion of Jewish-interest literature. Through an ever-growing list of projects and programs, including the National Jewish Book Awards, the Jewish Book NETWORK, and the quarterly publication Jewish Book World, the Jewish Book Council serves as a catalyst for the reading, writing, and publishing of books of Jewish interest. For more information about The Sami Rohr Prize for Jewish Literature, please click here. Funk Yeah, It’s Jewltide 7! Sick of the same old Christmas Eve routine… Chinese food and a movie? Continue reading here.